What’s In a Festival Name? This is one of the most tricky and controversial steps of your conceptualisation of a festival. In thinking about this, it is vital that you appreciate that your festival has to stand out from the multitude of festivals and events that take place in South Africa. You have to break the clutter to be noticed and successful, and the festival name is a vital part of this. The immediate temptation is to use the name of your city or town as the major part of the name. While many officials might see this as desirable, you should avoid this at all costs. There are too many festivals named after the city or town in which they take place and you have no chance of standing out from the festival crowd. It is always useful to look back at your objectives when considering the name. 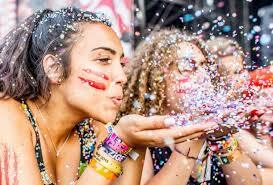 Look for something that captures the essence of your festival and that you can build the brand around. You might find it useful to brainstorm 3 names and then choose the best one. I have found that when I visualise the festival and consider its essence, the name will be the one that links best to your passion and belief. Remember that you definitely want the name to be different and appealing. Does the name feel part of your dream and passion for the festival? Never accept a compromise as it will lead to a lack of conviction when you approach your sponsors and your other stakeholders. P.S. This is an excerpt from the ‘Festivals and Event Toolkit’ that I am writing for you right now. I am hoping to have it ready in the first half of June and it will capture the success factors of successful festivals of any size.